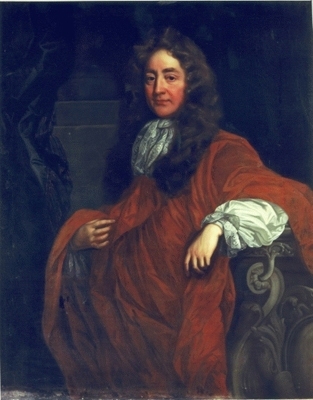 Sir Josiah Child, 1st Bt. [S15] George Edward Cokayne, editor, The Complete Baronetage, 5 volumes (no date (c. 1900); reprint, Gloucester, U.K.: Alan Sutton Publishing, 1983), volume IV, page 106. Hereinafter cited as The Complete Baronetage. [S15] George Edward Cokayne, The Complete Baronetage, volume IV, page 107. [S6] Cokayne, and others, The Complete Peerage, volume III, page 92. [S6] Cokayne, and others, The Complete Peerage, volume II, page 81. [S6] G.E. Cokayne; with Vicary Gibbs, H.A. Doubleday, Geoffrey H. White, Duncan Warrand and Lord Howard de Walden, editors, The Complete Peerage of England, Scotland, Ireland, Great Britain and the United Kingdom, Extant, Extinct or Dormant, new ed., 13 volumes in 14 (1910-1959; reprint in 6 volumes, Gloucester, U.K.: Alan Sutton Publishing, 2000), volume III, page 92. Hereinafter cited as The Complete Peerage. 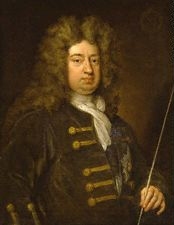 He gained the title of 1st Baron Granville of Potheridge. [S6] G.E. Cokayne; with Vicary Gibbs, H.A. Doubleday, Geoffrey H. White, Duncan Warrand and Lord Howard de Walden, editors, The Complete Peerage of England, Scotland, Ireland, Great Britain and the United Kingdom, Extant, Extinct or Dormant, new ed., 13 volumes in 14 (1910-1959; reprint in 6 volumes, Gloucester, U.K.: Alan Sutton Publishing, 2000), volume V, page 408. Hereinafter cited as The Complete Peerage. [S6] Cokayne, and others, The Complete Peerage, volume X, page 178. [S6] G.E. Cokayne; with Vicary Gibbs, H.A. Doubleday, Geoffrey H. White, Duncan Warrand and Lord Howard de Walden, editors, The Complete Peerage of England, Scotland, Ireland, Great Britain and the United Kingdom, Extant, Extinct or Dormant, new ed., 13 volumes in 14 (1910-1959; reprint in 6 volumes, Gloucester, U.K.: Alan Sutton Publishing, 2000), volume XII/2, page 852. Hereinafter cited as The Complete Peerage. [S6] Cokayne, and others, The Complete Peerage, volume XII/2, page 853. After her marriage, Christian North was styled as Countess of Worcester before 19 May 1550. Her married name became Somerset. [S6] G.E. Cokayne; with Vicary Gibbs, H.A. Doubleday, Geoffrey H. White, Duncan Warrand and Lord Howard de Walden, editors, The Complete Peerage of England, Scotland, Ireland, Great Britain and the United Kingdom, Extant, Extinct or Dormant, new ed., 13 volumes in 14 (1910-1959; reprint in 6 volumes, Gloucester, U.K.: Alan Sutton Publishing, 2000), volume XII/2, page 853. Hereinafter cited as The Complete Peerage. He was educated at St. Paul's School, London, EnglandG.3 He was educated at Caius College, Cambridge University, Cambridge, Cambridgeshire, EnglandG.3 He was Clerk of the Council of the City of London.3 He was Clerk of Parliament between 1531 and 1540.3 He held the office of King's Serjeant-at-Law in 1536.3 He was Treasurer of the Court of Augmentations in 1540.3 He held the office of Sheriff of Cambridgeshire between 1540 and 1543.3 He was appointed Knight in 1542.3 He held the office of Member of Parliament (M.P.) for Cambridgeshire between 1542 and 1544.3 He was Chancellor of the Court of Augmentations between 1544 and 1548.3 He was appointed Privy Counsellor (P.C.) in February 1546.3 He held the office of Member of Parliament (M.P.) for Cambridgeshire between 1547 and 1552.3 He held the office of Member of Parliament (M.P.) 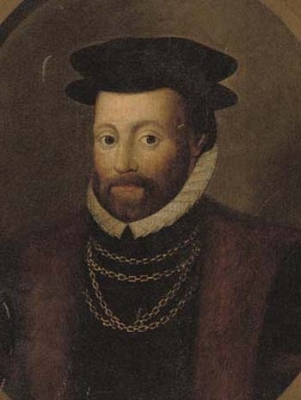 for Cambridgeshire in 1553.3 He was created 1st Lord North [England by writ] on 17 February 1553/54.5 He held the office of Lord-Lieutenant of Cambridgeshire in 1559.3 He lived at Kirtling, Cambridgeshire, EnglandG. [S6] G.E. Cokayne; with Vicary Gibbs, H.A. Doubleday, Geoffrey H. White, Duncan Warrand and Lord Howard de Walden, editors, The Complete Peerage of England, Scotland, Ireland, Great Britain and the United Kingdom, Extant, Extinct or Dormant, new ed., 13 volumes in 14 (1910-1959; reprint in 6 volumes, Gloucester, U.K.: Alan Sutton Publishing, 2000), volume XII/2, page 854. Hereinafter cited as The Complete Peerage. [S6] G.E. Cokayne; with Vicary Gibbs, H.A. Doubleday, Geoffrey H. White, Duncan Warrand and Lord Howard de Walden, editors, The Complete Peerage of England, Scotland, Ireland, Great Britain and the United Kingdom, Extant, Extinct or Dormant, new ed., 13 volumes in 14 (1910-1959; reprint in 6 volumes, Gloucester, U.K.: Alan Sutton Publishing, 2000), volume I, page 270. Hereinafter cited as The Complete Peerage.